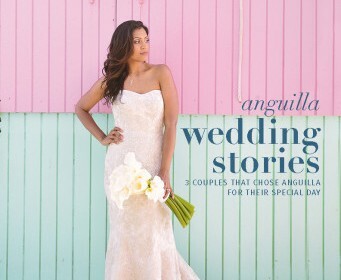 If you’ve opened up the recent Wedding issue for Design Anguilla Magazine or see it online, you may recognize the backdrop for the photo shoot starting on page 34 of the digital issue. The Beaches Edge Anguilla East Villa was the location for Design Anguilla’s breezy Bohemian-themed photos. Splashes of coral are set against a tapestry of blue sky and Sea, with the mountains of St. Martin majestically in the background. Plus, on page 44 of the digital edition, one of our recent Beaches Edge couples, Savannah and Tres tell how they met, why Anguilla is so special and why they chose Beaches Edge for their June 2015 destination wedding. Photo shoot starts on page 34 and Savannah and Tres’ wedding is on page 44.